How to develop a project? October 5, 2018 the Erasmus+ Information Day was held at the Tashkent State University of Uzbek Language and Literature (TSUULL). 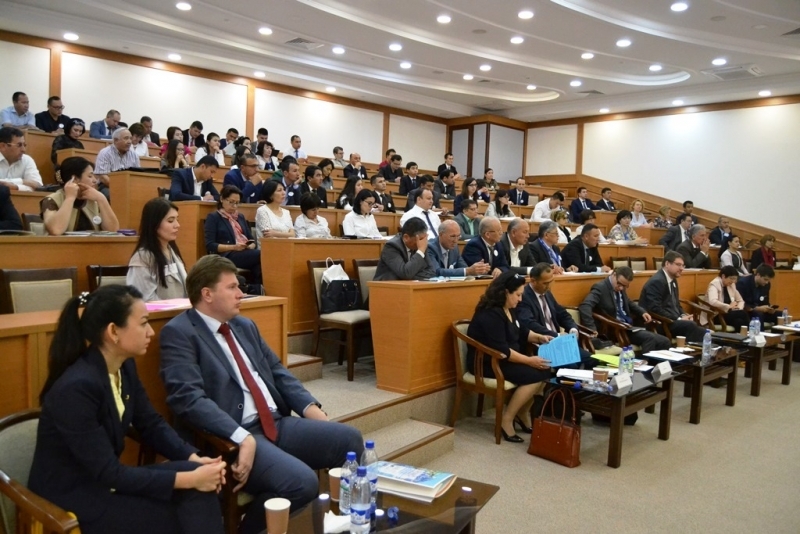 More than 100 people representing 53 higher education institutions from Tashkent and all country regions, line ministries and stakeholder organisations took part in the Information Day. Welcoming remarks were made by the Deputy Minister of Higher and Secondary Special Education of the Republic of Uzbekistan Mr. Uzoqboy Begimkulov, the EU Ambassador Mr Eduards Stiprais, Head of the EU Delegation to Uzbekistan, and Rector of Tashkent State University of Uzbek Language and Literature Prof. Shukhrat Sirojiddinov. During the Information Day Ms. Piia Heinamaki, Project Adviser from Education, Audiovisual and Culture Executive Agency (EACEA) in Brussels (Belgium) delivered presentations on Capacity Building in HE projects, project development and project management. For the second time, “Tempus and Erasmus+ Projects Fair” was organised in the framework of the Erasmus+ Information Day. In total 18 projects presented the results, the project teams, information and promotion materials. The best presenters among exhibitors of Tempus/Erasmus+ projects were nominated and awarded 3 prizes: the 1st place – Erasmus+ CBHE DSinGIS, the 2nd place – Erasmus+ CBHE CLASS and the 3rd place – Erasmus CBHE+ RUECVET. The newly arrived Campus France representative in Uzbekistan Mr Thomas Nadjar delivered a presentation on strengthening of Erasmus+ partnership with the French Universities .